The Lone Star State is thriving economically, doing much better than many other parts of the country. We’ve also got hoards of people moving here for jobs at places like Plano’s Toyota headquarters near Frisco, JPMorgan Chase, and Liberty Mutual Insurance. As these people consider DFW, ranking the cities becomes important. 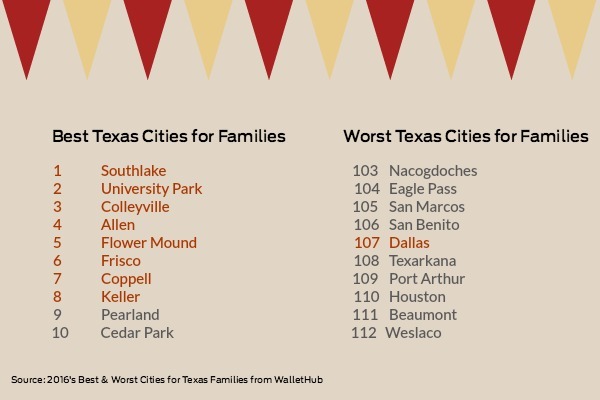 WalletHub, a personal finance website, just released an in-depth analysis of 2016’s Best Texas Cities for Families. The good news? Eight cities in North Texas made the top ten. The bad news? Dallas is ranked 107 out of 112. Analysts at WalletHub compared 112 of the state’s cities across 21 key metrics in four categories: family life and fun; education, health, and safety; affordability; and socioeconomic environment. Their data set ranges from the number of playgrounds per capita to the the violent-crime and divorce rates. 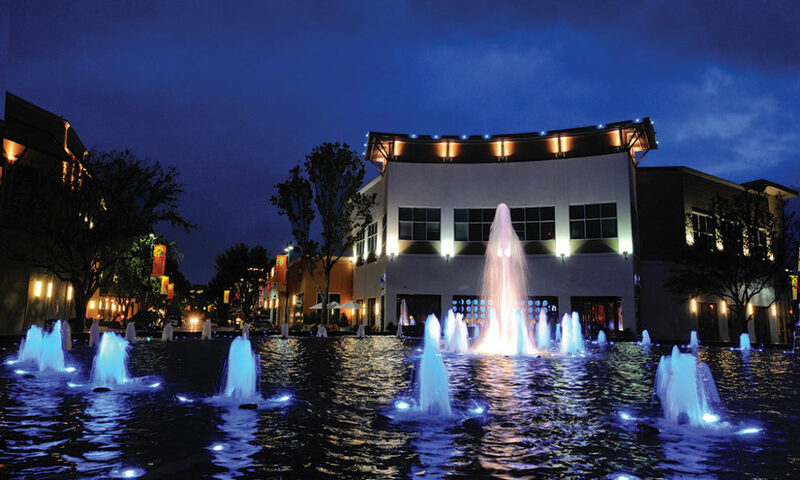 So what made the ‘burbs so appealing and Dallas rank so poorly?